Elephants are the largest mammal on earth, and commonly appear in our dreams. As there are many different associations for elephants, to dream of an elephant in your dreams can mean a number of different things. Power: An elephant is often a symbol of power and strength. Elephants are large and beautiful creatures who are often seen as a majestic and powerful animal. Seeing an elephant in your dream may be a reminder to be patient and strong through a difficult situation. Enormous Problems: To be frightened by an elephant or to see an elephant blocking your path in a dream, symbolizes that you have a problem or obstacle you feel to be enormous in your life. 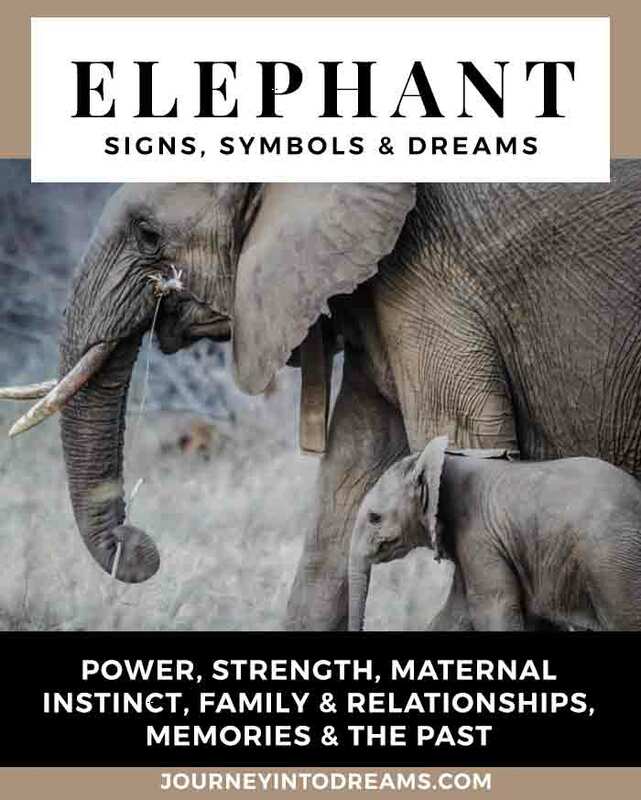 Family & Relationships: Elephants are well known in the animal kingdom to highly value family relationships.Dreaming of an elephant could mean there is an issue in your family that needs your attention. 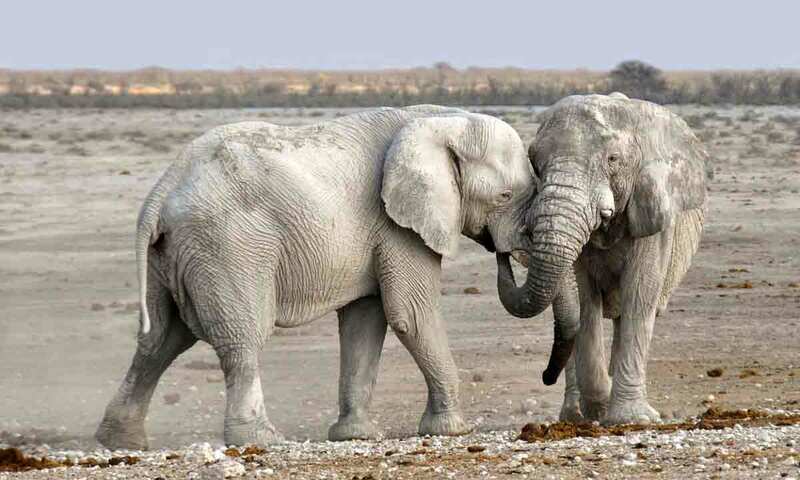 Maternal Instincts: In elephant families, the female is in charge! Seeing an elephant in your dream could be a sign to pay attention to your feminine qualities, or be a symbol of someone who has a mother type of role in your waking life. Running From an Elephant: To be running from an elephant in your dream shows that you have fears which are preventing you from feeling in control of your own life. You may feel like something is more powerful than you. Riding an Elephant: To be riding an elephant shows you feel in power and control, or that you think others should be able to notice that you are powerful. An Elephant in the Room: The expression, "let's not ignore the elephant in the room", means that there is an important issue that is obvious, but many people are hesitant to talk about. Seeing an elephant may mean you are not fully acknowledging something, even though it is quite large and apparent. Memories of the Past: Have you ever heard the phrase "An elephant never forgets"? Elephants are known for recognizing and remembering things even after many years have passed. 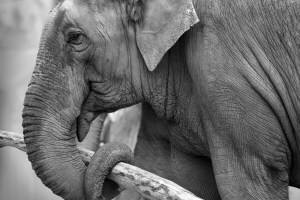 Often times to see an elephant in your dreams can symbolize that you are hanging onto memories that you need to let go of. Conservative Viewpoints: An elephant is the symbol of the Republican party and as a result of this can sometimes be a symbol of conservative viewpoints, especially if you are a U.S. citizen interested in political matters. Many people believe that elephants appear to us as a message from spirit. The elephant is often chosen to be a power animal to help someone with overcoming large obstacles in their life. As a spirit animal, the elephant reminds us to be gentle but to stand our ground. Describe the Elephant: Describe the elephant using 5 words. Do these 5 words sound like yourself or someone you know? Does the elephant resemble a situation in your life? What is Big in Your Life Right Now? As elephants are quite large, they often symbolize things that are big in our lives. You may have large problems, big success, or something else big happening in your life. What feelings did you have in the dream? Your feelings during the dream will give you more insight into your dream. Were you afraid of the elephant or did it make you feel powerful? Have any additional dream meanings and interpretations for elephant? Share your thoughts in the comments section below!